6. 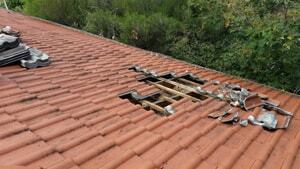 Provide further free quotes for more extensive work if required. 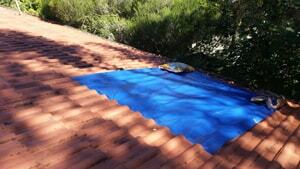 Tile Roof Repair in Melbourne. 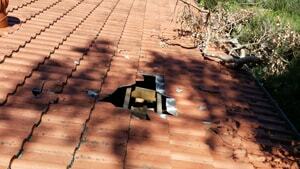 Exclusive Roofing is quite often called out for valley repairs or replacements after heavy rains and we can respond to emergency call outs as well. 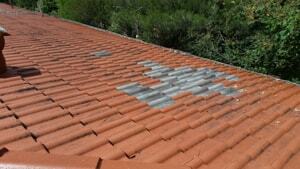 Whether it is a Terracotta or Cement tiled roof with a damaged valley we are able to help. Even a leak that can appear quite large may be due to tiny rust holes as small as a pin head. Over time this can build up and cause a substantial damage to your ceiling and quite often we see that mold has begun to grow in the area below leaking valley.